Visit the Potters Market Invitational (PMI) in its 14th year. 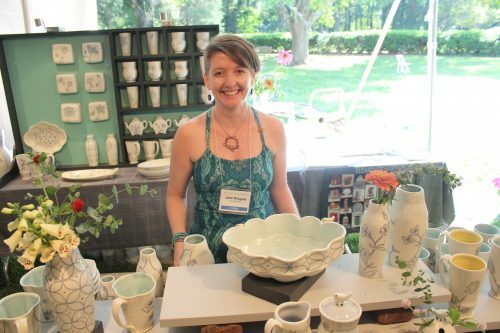 More than 65 North Carolina potters will gather on the lawn of Mint Museum Randolph to sell their creations. PMI showcases the breadth and depth of work by makers in what has become known as the Pottery State. Enjoy this opportunity to purchase works of art directly from North Carolina ceramic artists. To view a list of participating potters, click here. Meet exceptional potters from Seagrove, the NC mountains, the Piedmont and the Catawba Valley. You’ll find works ranging from traditional functional wares to contemporary sculptural works. This is a fun-filled day including clay demonstrations, a pop-up cafe, and live music. Your ticket also includes admission to the Mint Museum Randolph and Mint Museum Uptown. Join us as a sponsor and receive benefits, including early admission. To learn more about the artists participating in this year’s show, to get more details about the show including purchasing tickets, and to become a sponsor, please visit our website. For questions or additional information, contact: info@PottersMarketAtTheMint.com.